Are you looking for quality appliance repair in Overland Park KS? Half-cooked or half-baked meals can be the pits and such a waste of time and money! If your oven is not heating like it used to, you can rely on us to get you up and cooking again. Our goal is to deliver speedy and efficient service on every service call. We'd be glad to offer you our top-of-the-line, professional oven repair services. So if you need us, we're a simple phone call away. We take for granted having the convenience of a working oven and being able to prepare home cooked meals from the comfort of our own home. So once your oven goes out on you, don't procrastinate on calling in the professionals to fix it for you. It can be dangerous to tinker with your over when you haven't been properly trained on how to do so. 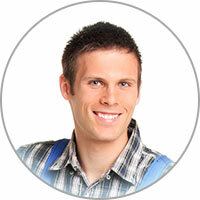 Our crew of licensed technicians is happy to work quickly and efficiently for you. We service all makes and models of ovens and oven parts in Overland Park KS. You have more important ways to spend your time, so call us today. 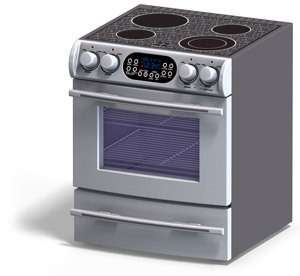 We provide exceptional oven repair in Overland Park KS and the areas beyond. Our team of licensed professionals would be elated to offer you our second to none, reliable oven repair services. So if you need us, contact us right away. We'll get your oven fixed as quickly as possible. Our licensed technicians are available to visit your home seven days a week. It is a hassle to have an oven on the fritz, so call us soon to get it fixed! Oven parts are typically difficult to replace. They also can be hazardous to try to on your own if you haven't been properly training on how to do so. We specialize in servicing all makes and models of ovens. Diagnosing a problem in a gas oven is a bit different than with its electric counterpart. That is because the parts and heat production method between the two types of ovens are entirely different. With a gas oven, you have to think about the functional condition of the igniter, flame sensor, gas valve, etc. With an electric oven, the way the parts work and how to troubleshoot them is a lot less difficult to understand. In general, repairing a gas oven is costlier than fixing an electric unit and requires professional help.